After a day on the water it’s nice to step on shore and stretch your legs. What better way to do that than by exploring the over 110 acres of parkland that make up Bluffers Park. Hike up to a scenic lookout or go for a walk along the Bluffers Park Trail. 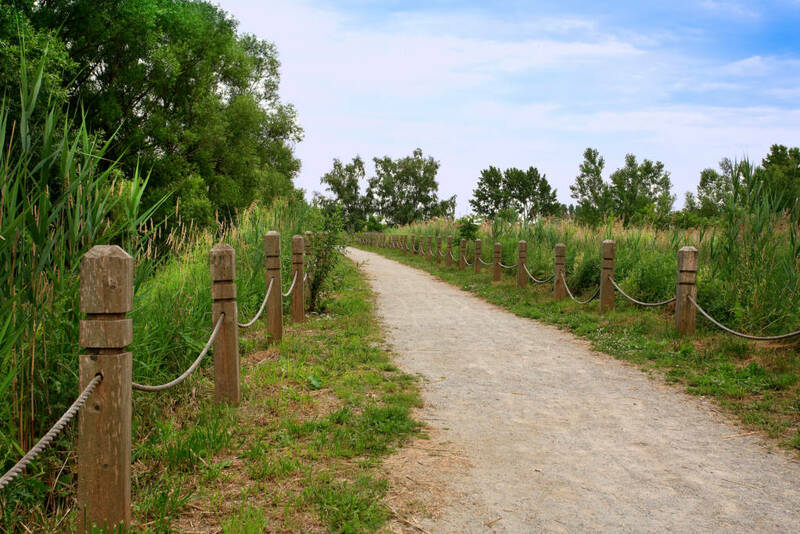 This moderate 3.1 kilometre hike winds through the Bluffers Park Marina and the naturalized areas that run between the Bluffers Park Trail and the bluffs. Take in the striking views of the bluffs, which at their highest point rise 65 metres (17-storeys) above the shoreline. Drink in the sight of Lake Ontario glistening on a summer evening. Enjoy a picnic under a tree. And don’t be surprised if you see some wildlife along your route too. Swans, beavers, minks, snowy owls, falcons, coyotes and deer all call Bluffers Park home. Check out our photo gallery of the Buffers Park and Trail.